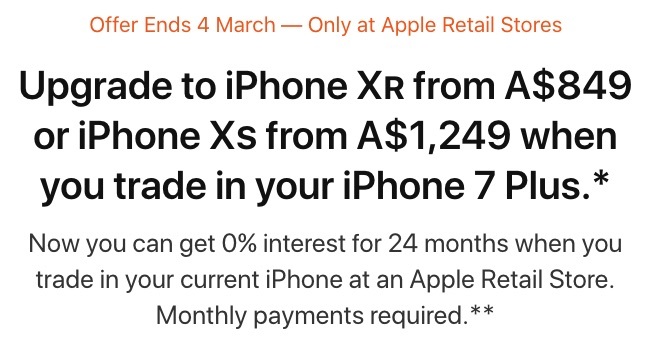 Australians looking to take advantage of Apple’s limited time iPhone XS and iPhone XR trade-up promotion should act fast, as the offer ends Monday, March 4 in Australia, according to an update to Apple’s website. 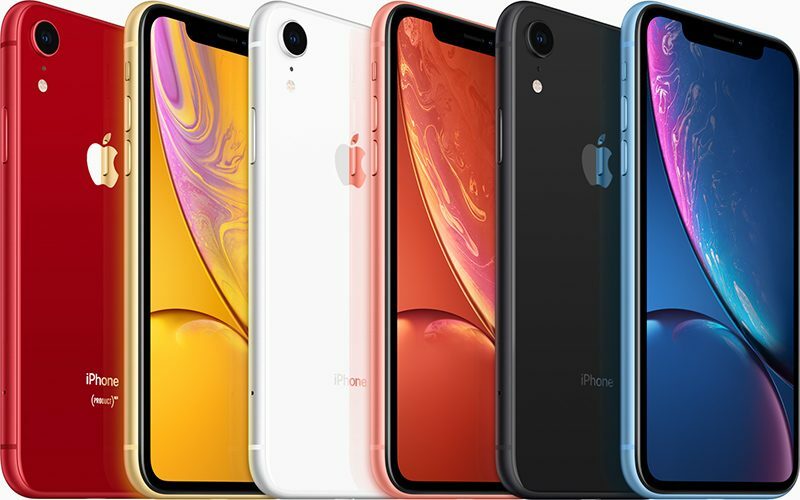 As in the United States, Apple is offering higher trade-in values for select older iPhone models towards the purchase of a new iPhone XR or iPhone XS. The iPhone XR starts at $1,229 in Australia, for example, but customers can purchase the device for as low as $849 when trading in an iPhone 7 Plus until next week. The promotion began in the United States in late November and expanded to Apple Stores internationally in late December. Apple has been heavily promoting iPhone XR and iPhone XS trade-ins with a prominent banner on the homepage of its website, store signage, App Store editorials, emails to older iPhone users, and more since the smartphones launched last year. In a letter to shareholders last month, Apple said it saw fewer iPhone upgrades than it anticipated last quarter, primarily due to greater-than-expected economic weakness in the Greater China region. Apple said making smartphone trade-ins at its stores easier is one step it would take to improve results. No end date has been specified for the U.S. promotion as of yet.